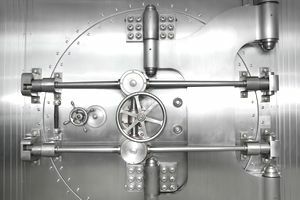 Certificates of deposit (CDs) typically have fixed maturity dates, meaning they cannot be cashed out before that date. Time frames vary, but CDs with longer commitments offer better interest rates than those with shorter terms. CDs are considered a safe place to save money while earning a greater return than a typical savings account might offer. The drawback is that, unlike a savings account, the money cannot be withdrawn before the maturity date without penalty. Sometimes you’ll pay more than you’ve earned in interest, depending on how long the account has been open at the time of early withdrawal. A liquid CD, however, allows you to take out money without penalty before the CD matures. They are sometimes known as risk-free or breakable CDs, depending on where you bank. Weighing the main pros and cons of liquid CDs can help you decide if they make sense for your financial situation. You might need access to money in a CD before it matures for a variety of reasons. If interest rates rise after you've already purchased the CD, you might want to move your funds into a new CD with a better rate. You could also encounter a financial emergency that requires you to tap into the funds. Every bank and credit union is different, so review the policy at your financial institution before you buy a CD. Some banks allow you to pull 100 percent of your account balance from liquid CDs, while others require you to keep a certain percentage of your initial deposit in the account. Some simply require you to keep a minimum dollar amount in the account to avoid penalties. At most banks, you need to wait at least a week after opening your liquid CD to remove funds. After that, some banks allow penalty-free withdrawals monthly or weekly, while others allow only one penalty-free withdrawal during your CD’s term. Liquid CDs do come at a cost. The flexibility for early withdrawals means you'll get a lower interest rate than with a traditional CD. Whether or not the lower rate is worth it depends on your individual situation. Additionally, although putting your money into a liquid CD pays more in interest than a savings account, the penalty-free withdrawal feature won't provide any deterrent if you're tempted to use the cash for non-emergency or frivolous items. As of December 2018, Ally Bank and CIT Bank were offering 11-month liquid CDs with interest rates ranging from 1.8 percent to 2.25 percent, depending on the amount invested. Ally: Starting six days after purchasing the CD, you can withdraw funds with no penalty, and there are no maintenance fees. Interest rates start at 1.8 percent and jump to 2.1 percent with an opening deposit of at least $5,000. Opening deposits of at least $25,000 earn 2.25 percent. CIT: A minimum deposit of at least $1,000 is required, but the 2.05 interest rate is superior to Ally's for those investing less than $25,000 initially. Withdrawals are allowed starting seven days after purchasing the CD, and, like Ally, there are no maintenance fees. By comparison, rates for 12-month traditional CDs, as of December 2018, ranged from 2.55 percent to 2.7 percent, with minimum deposits ranging from $0 to $5,000. Based on these numbers, the price to pay for the convenience of a liquid CD is a little less than 1 percent. For context, 1 percent of $1,000 equates to $10 annually. To make a withdrawal from your CD, start by contacting your bank. Before taking out the funds, however, it's important to inquire or get a refresher on the terms of your liquid CD. Some banks only allow one penalty-free withdrawal during the liquid CD's term, while others require a minimum balance of, say, $10,000, and will hit you with an early-withdrawal penalty if you take out enough money to drop your balance below that threshold. All of these features and limitations of the CD should be spelled out for you before purchasing so that you can make the best decision for your needs. Before you use a liquid CD, evaluate all of the options. Other alternatives might be a better fit for your life and your money personality. Emergency funds: Keep an emergency fund that’s adequate to cover most of life’s curveballs, and put the rest of your safe money in standard CDs. If it turns out you need more than you’ve got in the emergency fund, go ahead and break a CD (and pay penalties). This isn’t something you’re planning to do, and it shouldn’t happen often enough to break the bank. CD ladders: A laddering strategy involves investing in multiple CDs with staggered maturity dates. This ensures that you’ve always got a CD coming up for maturity within the next three to six months. If you won’t need money immediately, those regular maturities can help you get through tight spots. Plus, if interest rates rise, you’ll continually reinvest at higher rates. Money market accounts: If you don’t want to lock up your money, look into money market accounts as an alternative to liquid CDs. They pay almost as much as CDs, but you can write a few checks and move the money around. High-yield savings accounts: While a liquid CD might pay the same interest as a high-yield savings account, the savings account won't likely have as many restrictions such as the number of allowed withdrawals or large minimum balance requirements.